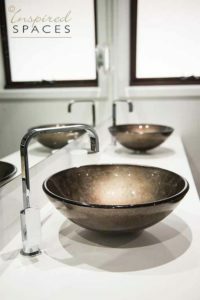 Are you looking for design ideas for a new bathroom, or inspiration to makeover an existing one? They don’t have to be costly or complicated to be beautiful and functional. Take a look at our tips to help give your bathroom that the wow factor. If you are updating and existing bathroom, try to ensure that you stick to the layout. It will keep costs down if you don’t have to relocate drains or fittings. But also consider that the new bathroom design will need to work well in your space. 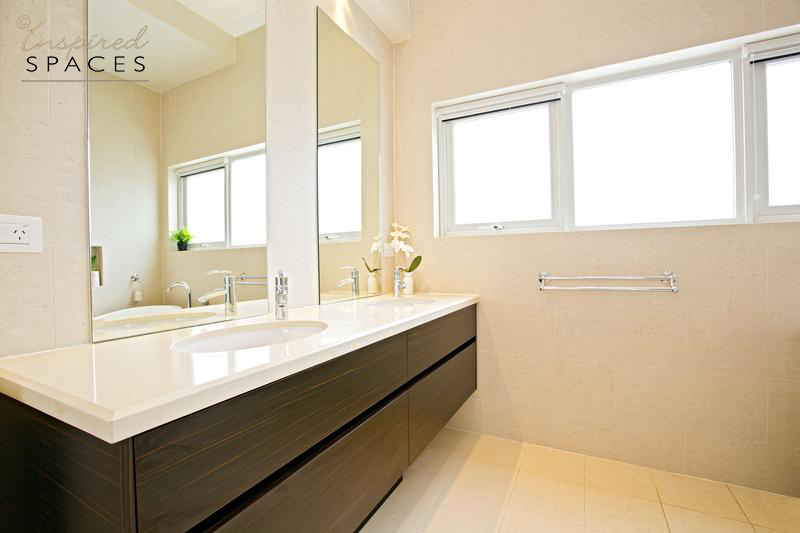 A well laid out, functional bathroom can add value to your home. When selecting your tiles and fittings its good to think long-term and timeless. Trend-based items will date very quickly and you will find yourself wanting to renovate again sooner than planned. It’s always best to play it safe with items that aren’t as easily replaced, and go wild with the accessories such as towels, mirrors and tap wear. Or add some mosaic tiles in well positioned areas to create interest. Making selections before you begin the renovations is always a good idea too. Have a look at our tips on how to choose the right tiles. Neutral, light colours on the walls make a room look bigger and work well in a bathroom. Or you could opt for a soft pastel green or duck egg colour with off white tiles. For abit of drama you could use matte black tapware or even darker cabinetry? If you wish to learn more about a neutral colour scheme, have a look at how to work with neutral colours. A wall recess creates storage for shampoo bottles, candles and loofahs. 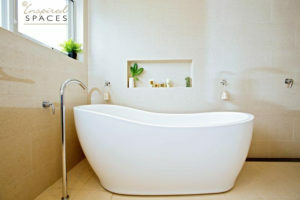 No matter how large or small your bathroom is, a recessed wall niche gives your shampoos and body washes a great home. It’s not only a good solution for the shower but also for being integrated above your bathtub. For something interesting and classic why not could consider up-cycling an old bedroom vanity or chest of drawers? You can place & plumb-in a beautiful round or square ceramic sink on top with some decorative tap wear. If that style isn’t your thing, then maybe you could opt for a more contemporary look and feel by installing a floating vanity? The space between the floor and the vanity will give the illusion of a bigger space, as well as instantly updating your bathroom.